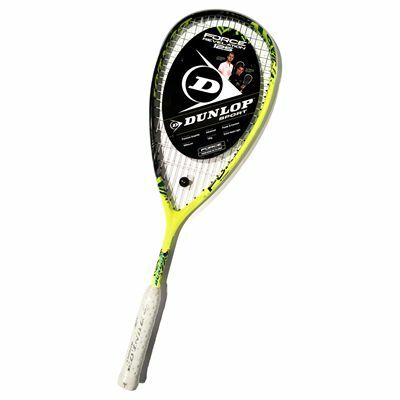 This double pack contains two Dunlop Force Revelation 125 squash rackets which boast good power and aerodynamic properties. 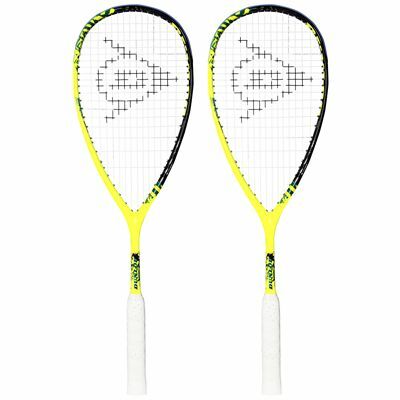 The head size of these rackets is 77.5in2 (500cm2) and they have a very head-light balance. 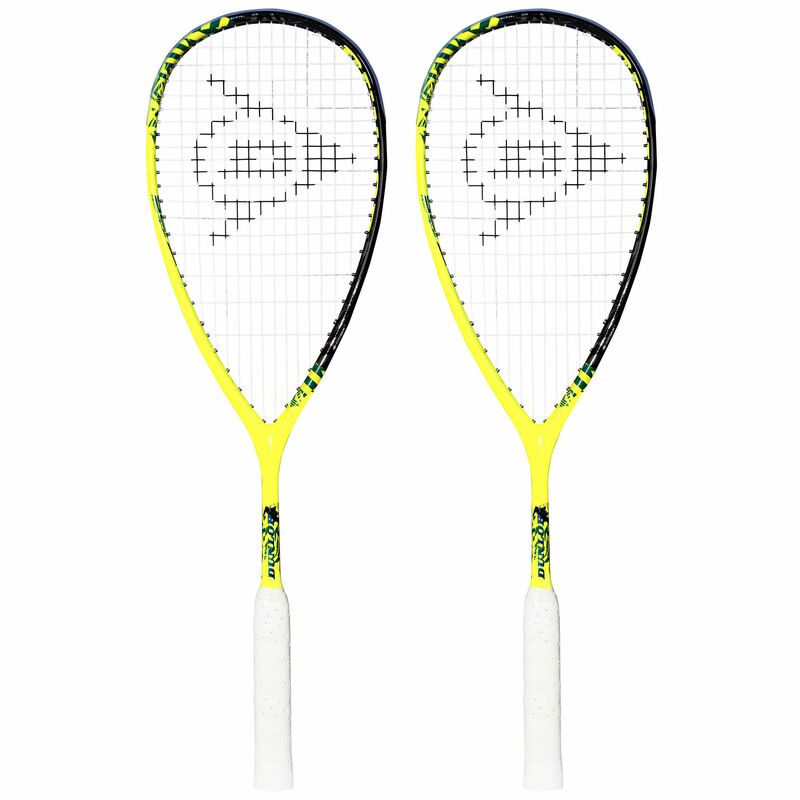 AeroSkin Cx technology streamlines the racquest, reduing drag by up to 35% which makes for faster swings and easier manoeuvrability. 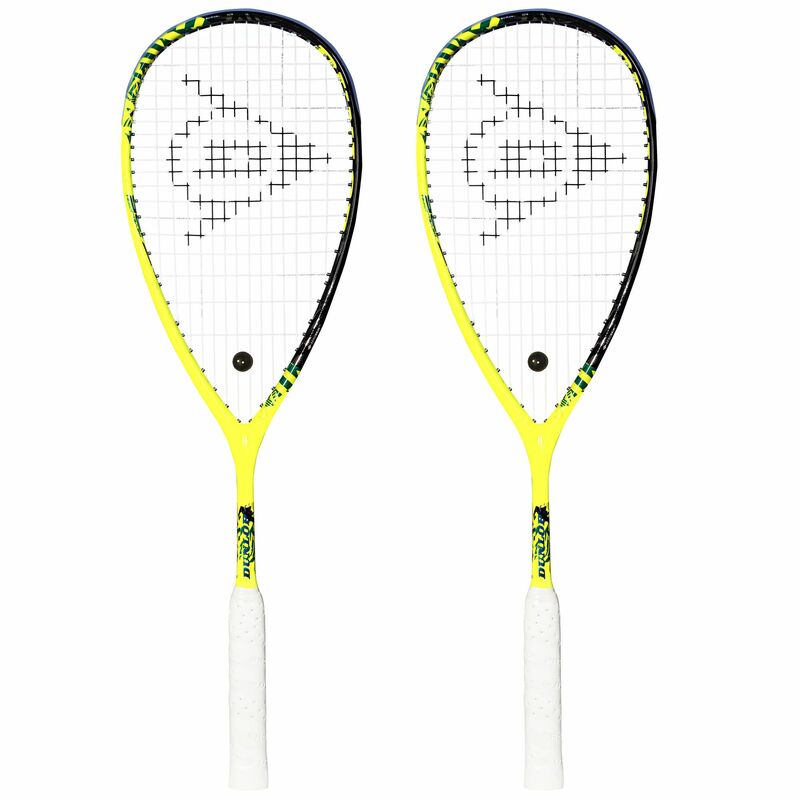 For power, the 125g (4.4oz) frames use Glide Polymer technology which works to allow 27% more string movement. 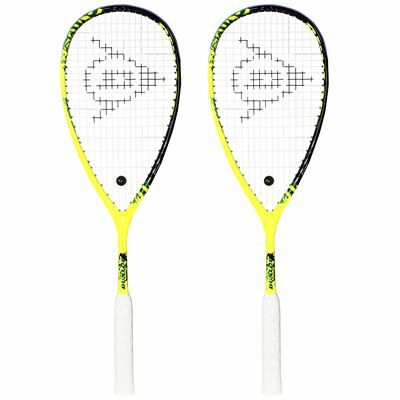 This not only enhances power potential but also extends the lifetime of the grommets. 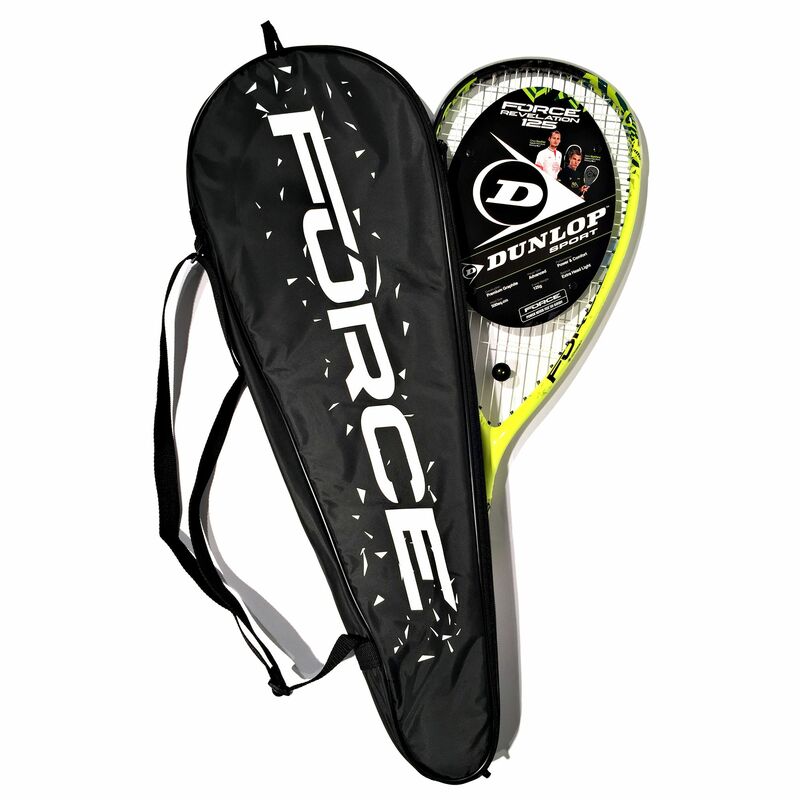 The Force Revelation 125 is made using premium graphite for durability and strength, and they come with full protective covers and pre-strung in a 14x18 pattern with a Great White 17G string. 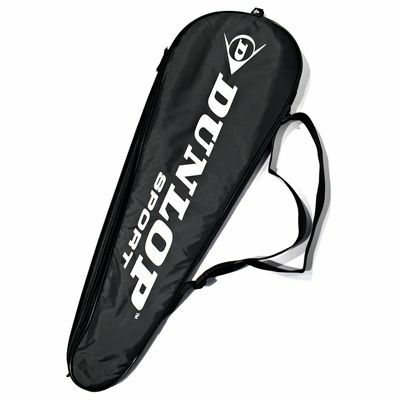 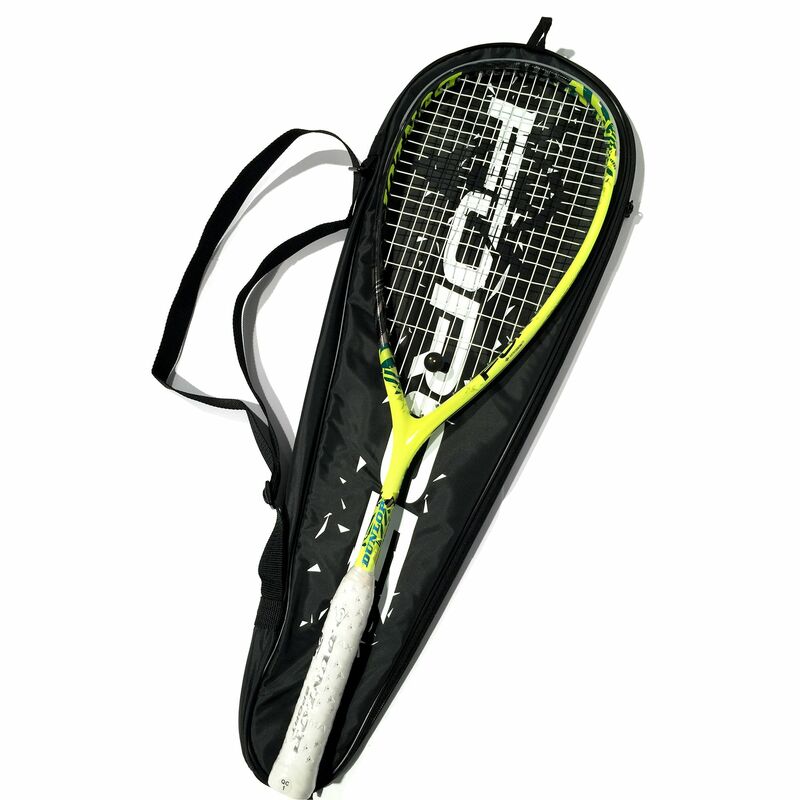 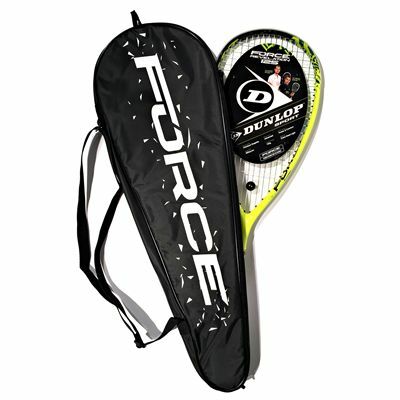 for submitting product review about Dunlop Force Revelation 125 Squash Racket Double Pack.